As I’ve prayed for guidance over the years, especially when I was raising two children alone, sometimes our heavenly Father provided a creative idea that resulted in an immediate solution. Sometimes He sent me to a kind someone. I remember when my then 10-year-old son, Jay, had to wear a tie for his school’s concert. 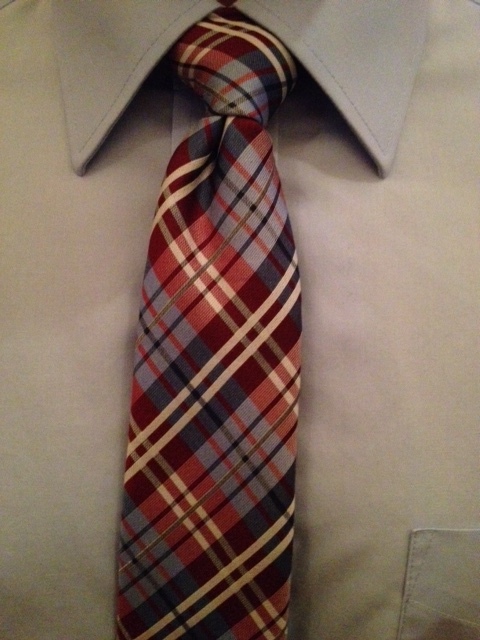 Neither of us had the foggiest notion how to tie a four-in-hand, so I asked a neighbor to teach him. The neighbor did, bless him, and Jay was ready for his concert. But for those of us raising children alone, we usually have greater problems than neckties. When Jay turned 13, we were at Lake Michigan, and he came in one afternoon all excited about a new game he, Erik and Andy had of jumping out of a moving boat. Horrified, I gave teary mother arguments about the danger of what he was doing. But he insisted they would be fine. So I launched into every lake horror story I’d ever heard. Jay remained unimpressed. I was just worrying too much, he said. Then I breathed the best one-word prayer any of us can pray: Help! And in a sudden burst of God-directed inspiration, I called the Coast Guard, explained the situation and asked if I was overreacting. The officer assured me I wasn’t and said the boys’ game was a good way to get killed. I asked if he’d tell Jay that. I heard the officer’s retort even though I couldn’t hear exact words. Immediately, Jay sat straighter. I never heard details, but as far as I know, the boys didn’t play the game again. That call may have saved young lives. Yes, sometimes we have to do the difficult thing for the future good of a youngster—whether it’s calling a counselor or the authorities. I wish all of our needs were as simple as asking someone to teach our son how to tie a necktie for the school concert. But if your children—or you—need help, pray. Then make that important call. This entry was posted in children, prayer, Psalm 46:1, rescue, single mothers, single parenting, single-parent families, widows. Bookmark the permalink.